The hula is a dance formed by body movements combining with pictorial hand and arm gestures and rhythmic lower-body patterns that are named. It is accompanied by chant or song. and was developed in the by the Polynesians who settled in Hawaii. The chant is called a mele the hula dancer dramatizes the story told by the mele. There are many styles of hula. 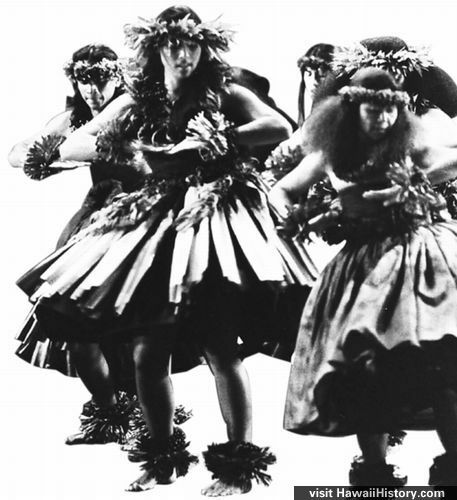 They are commonly divided into two broad categories: Ancient hula, (which was practiced only by men), as performed before Western encounters with Hawaiʻi, is called kahiko. Hawaiian history is an oral history. It was codified in genealogies and chants that were memorized and passed down through the generations. Chants told the stories of creation, mythology, royalty, and significant events and important people. Hula is taught in schools called halau. The teacher of hula is the kumu hula, where kumu means source of knowledge. Hula dancing is a complex art form, and there are many hand motions used to signify aspects of nature, such as the basic Hula and Coconut Tree motions, or the basic leg steps, such as the Kaholo, Ka’o, and Ami. The dog’s-tooth anklets worn by male dancers can be considered instruments, as they underlined the sounds of stamping feet.